Bath Caddy ! Lots of people asked about where I got this from ! effect for relaxation with wine and a book or just Chiilin ! My favorite setting spray for with and without makeup!Its amazing and a very light mist ! Perfect amount of Dewy ! These are MY FAVORITE eye masks ! I wear these on flights since we get so dehydrated on them and very dry! I also wear these before a shoot ! They help with De-Puffing , hydrating, and brighten the skin ! They are made of "hydrogel" which is composed from 95% organic aloe water) and 5% plant cellulose made to intensely hydrate. The longer you leave the mask on your skin, the thinner the hydrogel mask becomes because the water gets absorbed.Its actually pretty cool LOL ! Click photo to grab a pack ! AFFORDABLE TOO ! My Favorite Moisturizer right now ! Helps with pigmentation and evening out my skin tone ! Just a little goes a long way ! The only Hair , skin, and nail Biotin product I enjoy! Super small pill, and actually works! Made from Coconut oil so my skin is poppin LOL ! Vegan Protein! This is my favorite because it doesn’t taste chalky like most protein and being that this is vegan, its super light but feeling. I usually add some fruit and veggies ! Feed your muscles 30 min. After exercising. My 64 Oz. Water Jug ! They say the amount of water you’re suppose to drink is your body weight in 1/2. This is my 64 oz jug that I actually drink about 1-2 full sizes a day. I keep it in my car and just sip throughout the day. Put the drops of chlorophyll in here ! Drinking water helps with dry skin, nails, bloating, scalp health, hair, and makeup flawlessness! Evening Primrose ! Ahhhh my new favorite vitamin! Helps with balancing hormones / PMS symptoms. Weight Loss, Fertility, Acne, Hair Loss, Rheumatoid Arthritis, Osteoporosis! Such a good daily vitamin to check out ! 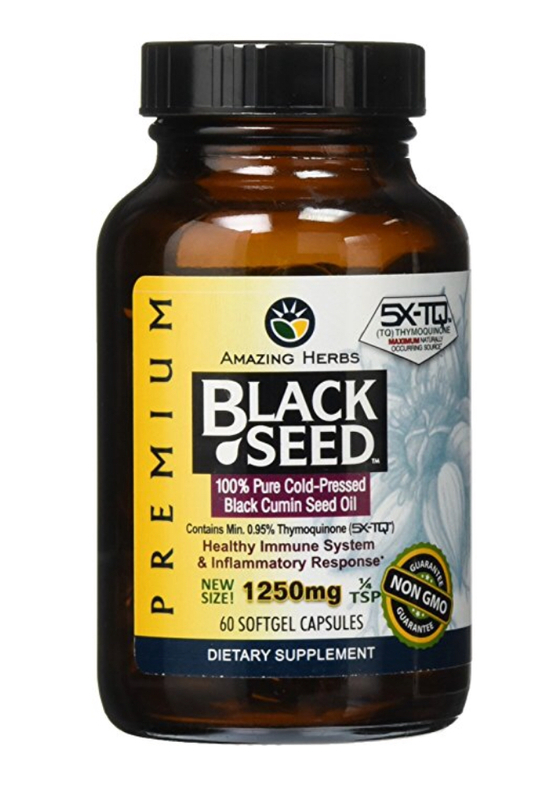 Black Seed oil it has SO many benefits ! Literally over 100. I use it for my anxiety, anti-inflammatory, hair,skin,nails,so many amazing benefits! Oh and supports weight loss ! Spirulina! My Smoothie perk! Great source of protein ! Helps support brain and eyes as well! Great benefits! Chlorophyl! I learned about this while practicing yoga heavy. It is a mouth wash for the inside of your body. I takea few drops in my water bottle everyday and it reduces body odor, helps withn bone support, muscle support, great if you’re exercising but great if you aren’t as well .